Certified as my favourite Thai place in town!! 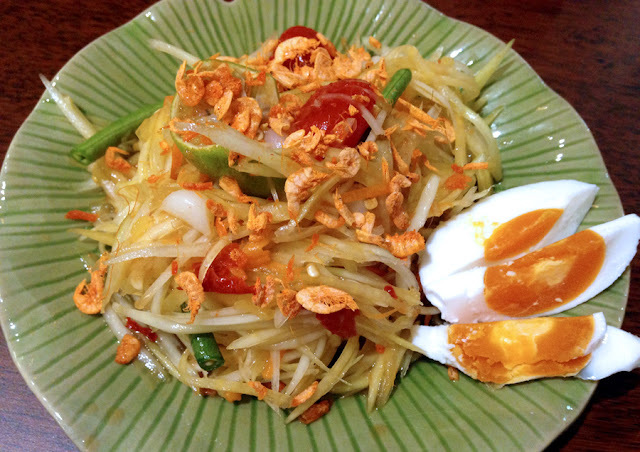 Som Tam (RM12.90). 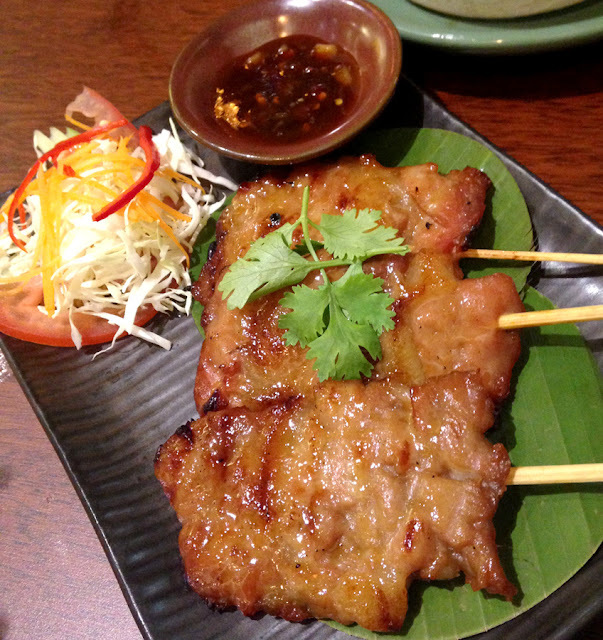 It is SO spicy you may want to ask to reduce spiciness... Unless you're really good with chilli! 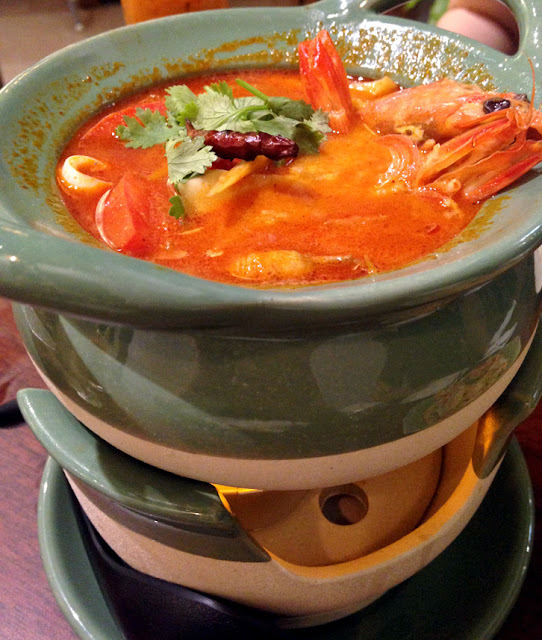 Red Tom Yam Seafood (RM19.90). Just nicely done, not really spicy which is just nice for me. If you love spicy food this is too mild for you. The prawns are medium-sized prawns, not the tiny ones or the extra large ones. Hopefully they will not pick smaller prawns to reduce cost in future because this is just the right size!! Yums! 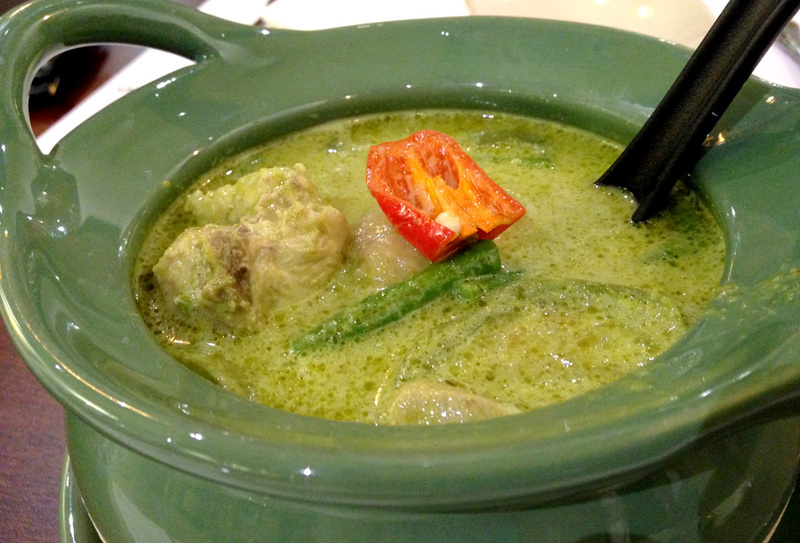 Green Curry (RM16.90). Chilli is very mild, but just nice for me. It looks boring but boy, the flavours are superb! The milk is just nice, not too milky or creamy. Would have been better if it's pork! Well, slightly biased as I love pork. BBQ Pork Neck (RM18.90). This one is grilled to perfection! 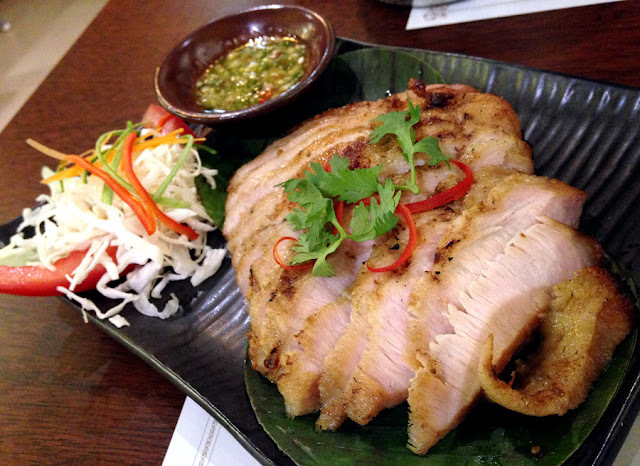 The lime sauce enhances the flavours of the pork! So good! 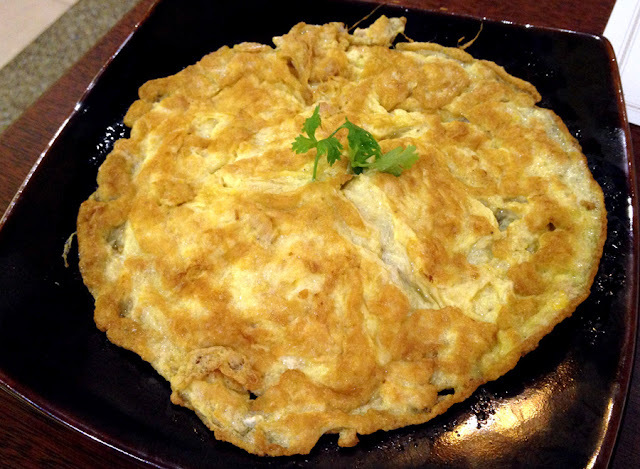 Omelette with Minced Pork (RM6.90). This is just another omelette, nothing special. 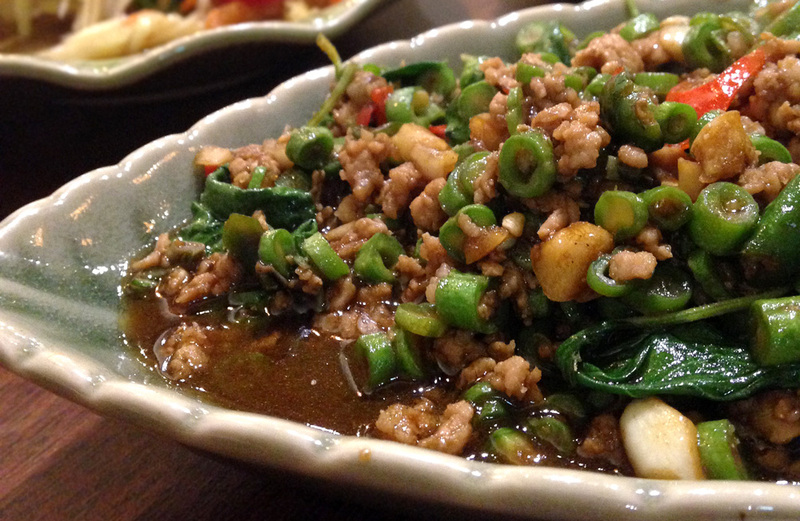 Stir-fry Minced Pork with Basil (RM12.90). We were not too sure bout the spiciness so we asked for less spicy. Overall really good but probably nicer with the actual spiciness. Not sure, will try it next time. 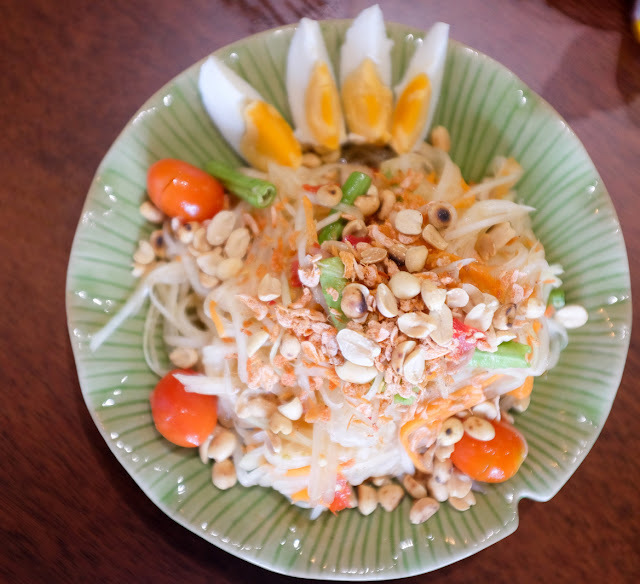 As noticed in EatDrinkKL and a few other blogs, they serve it with 4 slices of Salted Egg. According to some pictures on Instagram, it is now served as 3. I don't know why the reduction but maintaining or upgrading what you serve is important. My biggest concern is their quality might change over time, as you may already realise that most restaurants are usually good just in the beginning stage, fingers crossed. All in all, I find their prices are really good for those dishes. Food quality is very good too, considering the spiciness and the taste. Super huge bonus for the cheap prices. 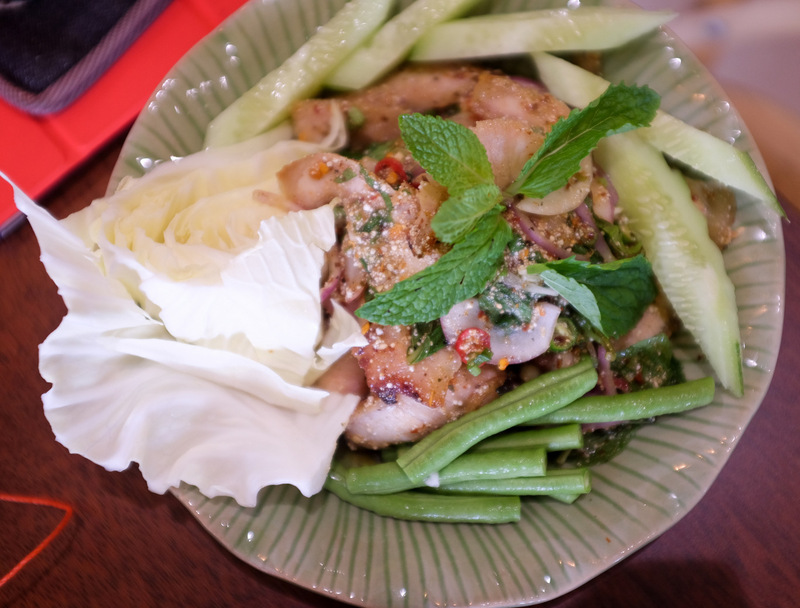 As long as the quality maintains (improvement would be even better), this would definitely be my regular Thai place! Don't forget to reserve a table if you have a large group, even a party of 3 cannot get a table immediately. 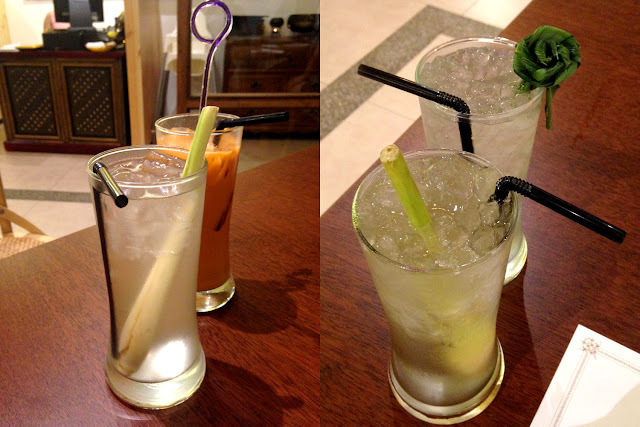 Their biggest letdown is crazy traffic in Kota Damansara, sadly it is out of their control!